September 21, 2014 – ACW: Paige Turner defeated Baby Dumplins, Livi La Vida Loca, Paula Fate, Stan Summers and Starr Venus in a 6-way elimination match. March 21, 2015 – MPX: Baby Dumplins defeated Livi La Vida Loca. April 18, 2015 – MPX: Baby Dumplins and Paige Turner defeated Livi La Vida Loca and Zero The Antihero. May 16, 2015 – MPX: Baby Dumplins and Barbi Hayden defeated Athena and Livi La Vida Loca. June 27, 2015 – MPX: Baby Dumplins and Jerome Daniels defeated Jiggle-O James Johnson and Livi La Vida Loca. June 28, 2015 – ACW: Jessica James defeated Baby Dumplins in the 1st round. August 22, 2015 – MPX: Baby Dumplins defeated Athena and Miss Natural in a 3-way match. August 23, 2015 – ACW: Jessica James defeated Angel Blue, Baby Dumplins and Livi La Vida Loca in a 4-way elimination match. September 19, 2015 – MPX: Baby Dumplins defeated Paige Turner. September 2, 2015 – ACW: Jessica James defeated Angel Blue, Baby Dumplins and Solo Darling in a 4-way match to qualify for the Lone Star Classic. October 17, 2015 – MPX: Baby Dumplins defeated Laynie Luck. November 7, 2015 – MPX: Baby Dumplins defeated Opera Man. December 13, 2015 – ACW: Angel Blue defeated Baby Dumplins. December 19, 2015 – MPX: Kyle Hawk defeated Baby Dumplins. January 9, 2016 – MPX: Paige Turner defeated Baby Dumplins. January 23, 2016 – MPX: Scott McKenzie defeated Baby Dumplins. February 21, 2016 – ACW: Angel Blue defeated Baby Dumplins to retain the American Joshi title. May 15, 2016 – ACW: Baby Dumplins defeated Tank Engine Thomas. June 25, 2016 – ACW: Sage Sin defeated Baby D in the 1st round. July 2, 2016 – NAWA: Baby D defeated Machiko. July 24, 2016 – ACW: Christi Jaynes and Reggie Lincoln vs. Baby D and Tank Engine Thomas ended in a no contest. August 6, 2016 – MPX: Kyle Hawk defeats Baby D and Brandon Collins and Kristopher Haiden and Randy Wayne and Scott McKenzie in a 6-way match. August 20, 2016 – MPX: Kyle Hawk defeated Baby D.
September 10, 2016 – MPX: Baby D defeated Ruthless Lala. 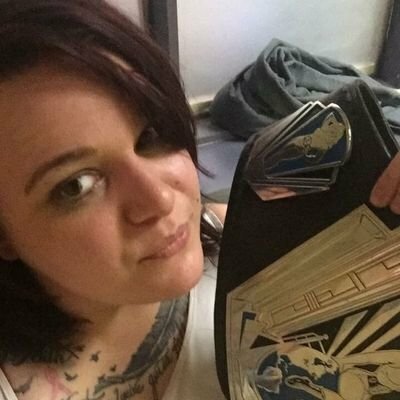 September 18, 2016 – IHWE: Christi Jaynes defeated Baby D and Delilah Doom in a 3-way match to retain the Queen Of The Ring title. September 24, 2016 – MPX: Baby D defeated Kenny Steele and Randy Wayne in a 3-way match. October 1, 2016 – MPX: Baby D and Randy Wayne defeated Chris Richter and Magnum RL. October 8, 2016 – MPX: Baby D and Steven Kirby defeated James Hawke and Randy Wayne. October 15, 2016 – MPX: Baby D and Steven Kirby defeated Larry Canis and Michael Shafer to win the tag titles. October 29, 2016 – MPX: Baby D and Steven Kirby defeated Chris Richter and Magnum RL & El Sapo and Prince Air-Non in a double jeopardy match to retain the tag titles. November 5, 2016 – MPX: Baby D and Steven Kirby defeated Larry Canis and Michael Shafer to retain the tag titles. November 12, 2016 – MPX: Baby D and Steven Kirby defeated Brent McKenzie and Claudia to retain the tag titles. November 19, 2016 – MPX: Baby D and Steven Kirby defeated Barrett Brown & Taylor Kubat to retain the tag titles. December 3, 2016 – MPX: Scott McKenzie defeated Baby D.
December 10, 2016 – MPX: Baby D and Steven Kirby defeated BC and Frankie Fisher to retain the tag titles. December 17, 2016 – MPX: Down To Fight (Machiko and Scott McKenzie) defeated Baby D and Steven Kirby to win the tag titles. December 25, 2016 – MPX: Down To Fight (Andy Dalton and Machiko) defeated Baby D and Steven Kirby to retain the tag titles. December 31, 2016 – MPX: Baby D defeated Claudia. January 7, 2017 – MPX: BC and Frankie Fisher defeated Baby D and Steven Kirby. January 14, 2017 – MPX: Baby D and Steven Kirby defeated Ky-ote and Kyle Hawk. January 21, 2017 – MPX: Baby D and Steven Kirby defeated Chris Richter and Magnum XL. January 28, 2017 – MPX: Down To Fight (Machiko and Scott McKenzie) defeated Baby D and Steven Kirby & Chris Richter and Magnum AL in a 3-way tag team match to retain the tag titles. February 4, 2017 – MPX: Baby D defeated Jason Silver, Michael Shafer and Steven Kirby in a fatal 4-way match. February 11, 2017 – MPX: Andy Dalton defeated Baby D to retain the MPX title. February 18, 2017 – MPX: Baby D defeated Machiko. February 25, 2017 – MPX: Baby D was in the Texas Rumble match won by Steven Kirby. March 4, 2017 – MPX: Larry Canis defeated Baby D.
April 1, 2017 – MPX: Tommy Becker defeated Baby D.
April 8, 2017 – MPX: Machiko defeated Baby D and Ruthless Lala in a 3-way match. April 22, 2017 – MPX: Malico defeated Baby D.
May 6, 2017 – MPX: Michael Shafer defeated Baby D to retain the Prospects title. May 13, 2017 – Sabotage: Ruby Raze defeated Allie Kat, Angel Blue, Baby D, Christi Jaynes, Kaitlin Diamond, Killista, Phoebe and Skylar Slice in a 9-way match to become #1 contender for the Sabatoge title. May 20, 2017 – MPX: Baby D and Mia Yim defeated Machiko and Taylor Kubat. May 26, 2017 – IWR: Desi De Rata defeated Baby D.
May 27, 2017 – MPX: Tommy Becker defeated Baby D.
June 3, 2017 – MPX: Allie Kat defeated Baby D and Ruthless Lala in a 3-way match. June 17, 2017 – MPX: Baby D and Steven Kirby defeated Gregory James and Sage Sin. July 1, 2017 – MPX: Delilah Doom defeated Baby D and Thunder Rosa in a 3-way match to retain the Sabotage title. July 8, 2017 – MPX: Baby D defeated Skylar Slice. July 29, 2017 – MPX: Baby D defeated Allie Kat and Machiko in a 3-way match. August 5, 2017 – MPX: Baby D defeated Graham Bell. August 12, 2017 – MPX: Baby D defeated Max Sterling. August 19, 2017 – MPX: Baby D defeated Solo Darling. September 2, 2017 – MPX: Marcus Rose defeated Baby D.
September 16, 2017 – MPX: Frankie Ficher defeated Baby D by disqualification. September 30, 2017 – MPX: Baby D defeated Hooligan Ace to win the Prospects title. October 7, 2017 – MPX: Down To Fight (Andy Dalton and Scott McKenzie) defeated Baby D and Thunder Rosa to retain the tag titles. 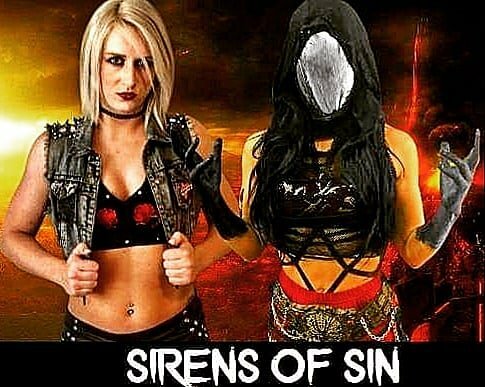 October 13, 2017 – Sabotage: Phoebe & Skylar Slice defeated Baby D, Divinity, Machiko Sun, Nikki Knight, Paige Turner, Pizza Cat, Robyn Reid in a warfare rules match to win the tag titles. October 14, 2017 – NAWA: Barbi Hayden defeated Baby D.
October 21, 2017 – MPX: Baby D defeated Machiko and Marcus Rose in a 3-way match to retain the Prospects title. November 4, 2017 – MPX: Baby D defeated Xavier Daniels to retain the Prospects title. November 5, 2017 – IHWE: Baby D defeated Allison in a dark match. November 11, 2017 – MPX: Frankie Fisher and Livi La Vida Loca defeated Baby D and Steven Kirby. November 18, 2017 – MPX: Baby D defeated Thunder Rosa to retain the Prospects title. November 25, 2017 – MPX: Baby D defeated Frankie Fisher to retain the Prospects title. December 2, 2017 – MPX: Ryan Remington and Tommy Becker defeated Baby D and Steven Kirby. December 9, 2017 – MPX: Baby D defeated Kyra Maya. Baby D defeated Brent McKenzie to win the MPX title. December 16, 2017 – MPX: Baby D & The Spirit Squad (Kenny and Mikey) defeated Dave Segan, Jamie Oller and Mike Foxx. December 23, 2017 – MPX: Baby D defeated Prince Kanu to retain the MPX title. December 30, 2017 – MPX: Baby D defeated Frankie Fisher to retain the MPX title. January 6, 2018 – MPX: Steven Kirby defeated Baby D to win the MPX title. January 12, 2018 – NAWA: Baby D andJerome Daniels defeated Johnny Maylay and Kyra Maya. January 13, 2018 – MPX: Thunder Rosa defeated Baby D.
January 19, 2018 – Sabotage: Baby D defeated Human Tornado. January 20, 2018 – MPX: Baby D defeated Dave Segan. February 3, 2018 – MPX: Steven Kirby defeated Baby B by disqualification to retain the MPX title. February 10, 2018 – MPX: Baby D defeated Larry Canis. February 17, 2018 – MPX: Baby D defeated Erica Torres. March 10, 2018 – MPX: Erica Torres defeated Baby T to retain the Sabotage title. March 17, 2018 – MPX: Baby D defeated Livi La Vida Loca. March 24, 2018 – MPX: Baby D defeated Hyan. April 7, 2018 – MPX: Baby D defeated El Sapo, Richter Reigns and Zero The Antihero in a 4-way match. April 14, 2018 – MPX: Baby D defeated Joey Ryan. April 21, 2018 – MPX: Ryan Remington and Tommy Becker defeated Baby D and Phoebe & Larry Canis and Michael Shafer in a 3-way tag team match to retain the tag titles. Machiko defeated Baby D, Livi La Vida Loca and Phoebe in a 4-way match. April 28, 2018 – Sabotage: Baby D and Phoebe defeated Myka and Rob Love to retain the tag titles. May 5, 2018 – MPX: Scott McKenzie defeated Andy Dalton and Baby D and Brent McKenzie and Chandler Hopkins and Dimitri Alexandrov and Double D and Erica Torres and Frankie Fisher and JT LaMotta and Michael Shafer and Sheeva and Steven Kirby and T-Ray and Thunder Rosa and Tommy Becker and Xavier Daniels in aztec warfare match. May 11, 2018 – VIP: Baby D and Phoebe defeated Twisted Sisters (Holidead and Thunder Rosa) to retain the tag titles. May 19, 2018 – MPX: Baby D defeated El Sapo. June 1, 2018 – MPX: Tommy Becker defeated Baby D.
June 2, 2018 – MPX: Tommie Becker and Ryan Remington defeated Baby D and Phoebe to retain the tag titles. June 9, 2018 – MPX: Dave Segan defeated Baby D in a looser leaves town, street fight. June 21, 2018 – DCW Vol VI: Lady Poison defeated Baby D.
August 4, 2018 – MPX: Baby D defeated Dave Segan.